Our Geneva airport transfer service will take you directly to Chamonix Bus Station. Below you will find all relevant travel information to help make the next part of your journey easier. As a primary tourist hub for France, Chamonix and its surrounds are served by plenty of taxi and minicab companies; making getting around the area an absolute cinch. Utilising said taxis may end up being quite expensive, but allows access to a wide variety of other French locations, or even destinations across the Swiss or Italian borders. A comprehensive list of taxi services can be found on the Chamonix valley official website: https://www.chamonix.com/taxis-shuttles-and-public-transport,15,en.html . 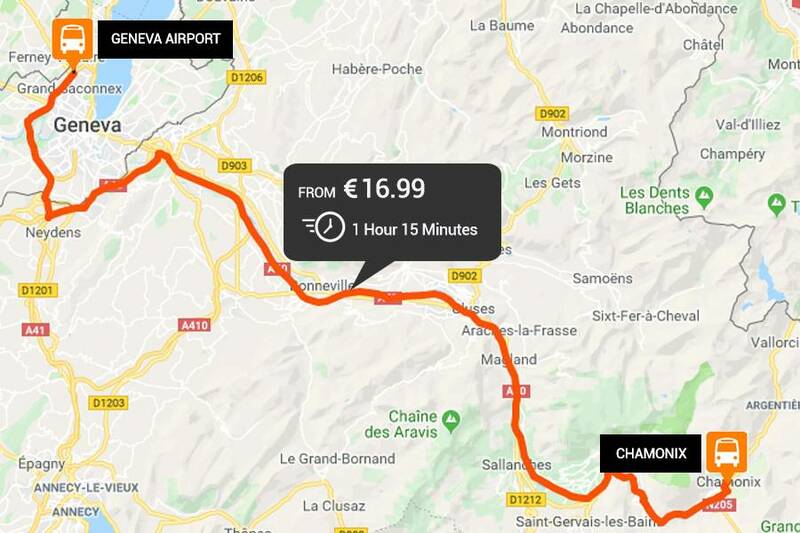 The French National Railway Company (SNCF) service links Servoz, Les Houches, Le Praz, Argentiere, Vallorcine, from the easyBus convenient drop-off and collection point at Chamonix Railway Station. Chamonix also has a free minibus service, allowing for easy, cost effective travel for visitors. Called ‘le Mulet’ (the mule), this service consists of 19 seat minibuses, with disabled access, which travel up and down the Chamonix valley, stopping at key locations such as Chamonix train station and the local health centre.